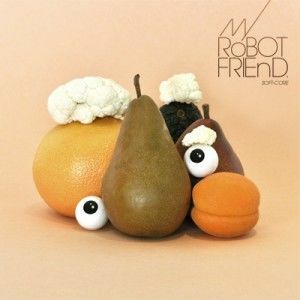 Dean & Britta's record label's next release will be by electronic music performer My Robot Friend. Double Feature will release his third album "Soft Core" on 13 October. Double Feature will be hosting a release party for the album at 92YTribeca on 2 October featuring My Robot Frind, Cheval Sombre and a DJ set from Dean Wareham. My Robot Friend previously provided a remix of Dean & Britta's Say Goodnight on the couple's digital-only release Variations. Also check My Robot Friend's MySpace page to hear one of the two tracks from the album that feature Dean Wareham as well as an older cover of Luna's 23 Minutes in Brussels.